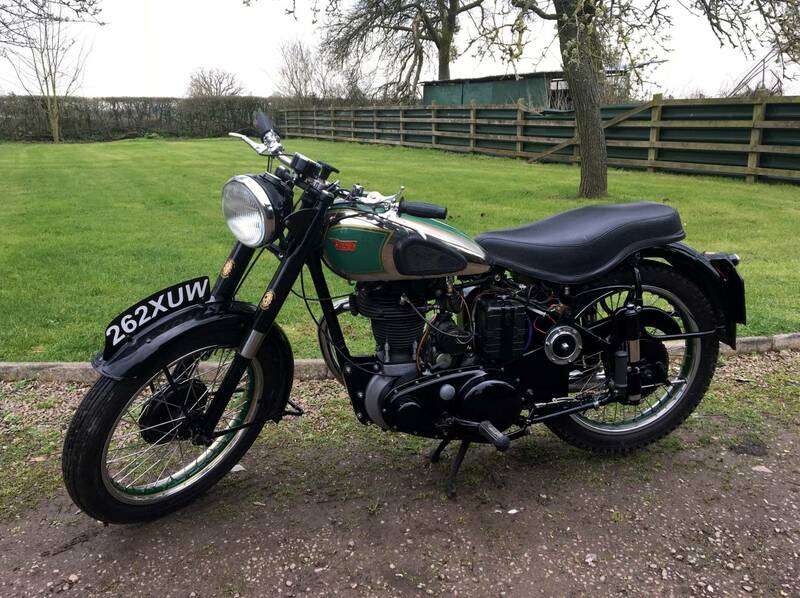 BSA B31 1950 350cc , In Green , Chrome And Black , With The BSA Brass Tank Badges . Very Attractive , With Lovely Aged Patina . Restored Many Years Ago , With Photos Of Before And After Restoration . 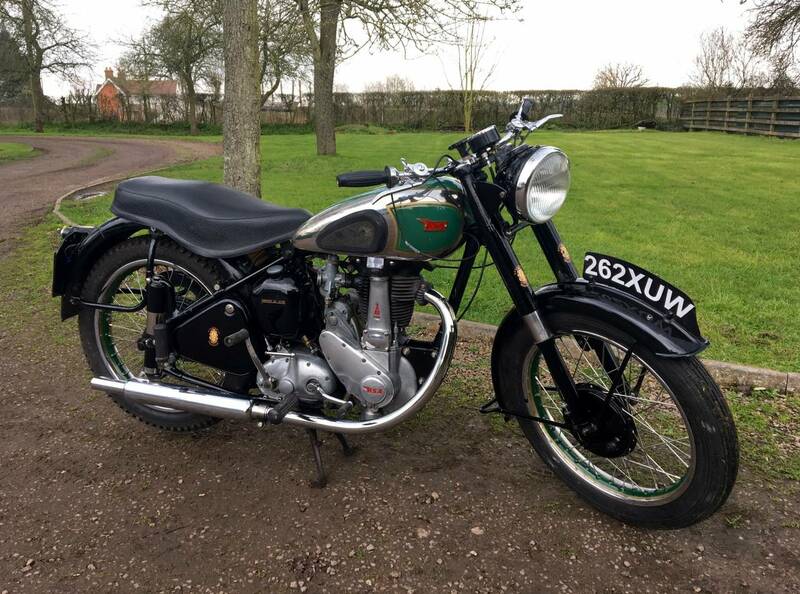 Comes With BSA Owners Club Certificate , Confirming All Correct Numbers And Despatch Details . Starts First Kick And Immediately Settles To An Even Tickover . Tax And Mot Exempt And With Cheap Classic Insurance . 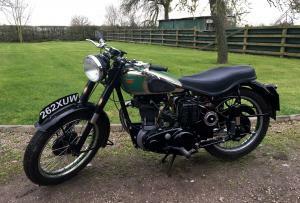 This Beauty Is 67 Years Old And Still Looking Great , With Bags Of Character . Good For Country Roads And Club Runs . An Appreciating Asset , Better Than ISA's And Lots Of Fun . Started To Rain When Photos Were Taken !